It is a common misconception that there is only one universal sign language. In fact, there is an estimated 144 different signed languages, according to the Ethnologue. American Sign Language (ASL), for example, is quite different from British Sign Language (BSL), despite the fact that English is spoken in both countries. Sign languages are as rich, complex and creative as spoken languages, and are composed of hand movements, facial expressions and body language. They were probably the first ways humans communicated, but the first formal sign language alphabet system can be traced back to 17th-century Europe, where it was used for educating deaf children. Today, sign languages are the primary language of many people who are deaf and are also learned by hearing individuals who want to communicate with the deaf community. Learning sign language at school gives students the chance to explore a rich aspect of the cognitive, creative, linguistic and cultural diversity of humanity. It is a language acquisition option in the Middle Years Programme (MYP) and schools can teach any of the officially recognized sign languages in use by deaf communities around the world. Pine View Middle School, in Florida, US, offers ASL as one of its MYP language options. ASL is offered at its feeder high school too. 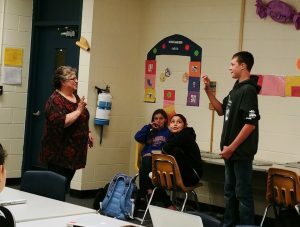 On a monthly basis, ASL certified teachers actively participate in face-to face time with students both physically and virtually in the classroom, explains the school’s MYP Coordinator Becky Cardinale. Studying ASL gives students not only the opportunity to learn another language, but also the chance to study deaf culture in the US and globally. “Students learn to navigate the world in a visual, gestural manner and discover a syntax that is specifically chronological. 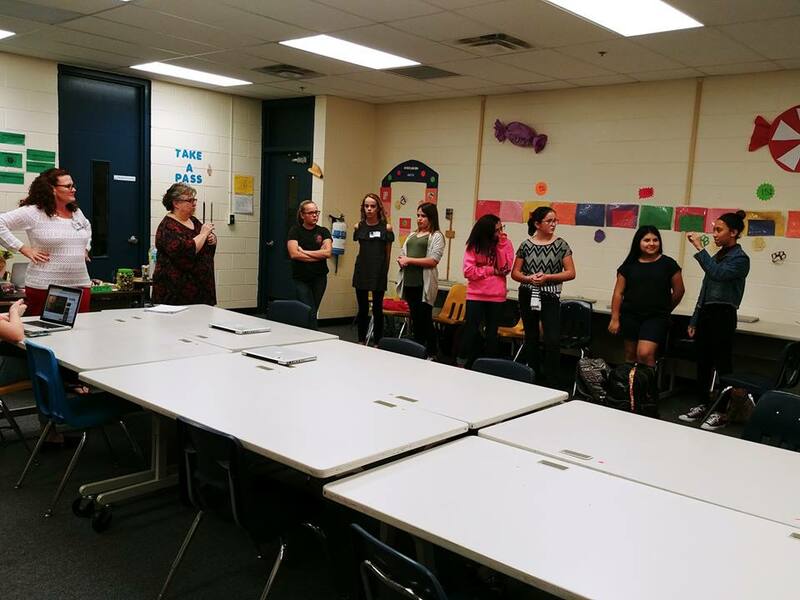 They learn critical thinking skills by identifying specific concepts such as inclusion, discrimination, deaf gain and audism, which are not discussed in other languages,” says Nancy Barbara, one of the ASL teachers and curriculum writer for Pasco County Schools. The school uses a combination of face-to-face instruction and a resource-rich, interactive, online platform. Through their modules, students are consistently signing new vocabulary, posting on their discussion boards and responding to others in both written English and visual ASL through videos. Students also complete monologues where they have to understand a scenario and appropriately respond to it. Learning sign language is not an easy option. It has its own challenges, says Barbara. Initially, some students may not have coordination and/or be able to use facial expressions unique to ASL. After a few weeks, they become more adaptable and comfortable. “Students also experience hand-dominance issues until they learn to use their dominant hand and not switch off mid-expression. They are learning a new language in their own language, which can cause syntax issues. And they have to learn to put their native language in another structure,” says Barbara. The IB has recently received a lot of queries from MYP schools that want to offer sign language and plans are now underway to review the 2012 Language B: Sign Languages Guide. This revised guide will be aligned with MYP Language acquisition subject group. Tema International School (TIS), Ghana, believes adding Ghanaian Sign Language (GSL) as an MYP language acquisition option will add value to the school’s curriculum choices. GSL will also provide students with the opportunity to realize that there are diverse ways of living, behaving and viewing the world through language. Additionally, languages greatly contribute to holistic development of students and to the strengthening of lifelong learning skills. In view of this, students already learn one new GSL vocabulary during their weekly assembly. Felix Owiredu, Sign Language Interpreter at TIS, says: Adding a course in GSL to the languages offered will bring in a new culture and foster inclusivity. “Students will learn to sign the alphabet, how to count, and basic phrases, while building vocabulary and learning the structure of the language,” he adds. It will also tie in with the school’s service learning as students who choose to do a project at Tetteh-Ocloo State School For The Deaf will have the opportunity to engage with members of the deaf community and also learn about their culture. 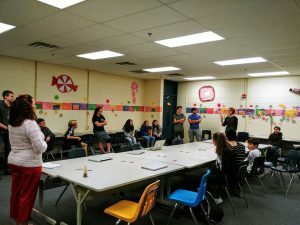 In the US, Mary Ellen Henderson Middle School and George Mason High School, Virginia, have decided to begin offering ASL during the next school year. They hope the course will deepen students’ awareness of language and the many forms and functions it can have. Alicia Miller, MYP Coordinator at both schools, says sign language can promote understanding of different attitudes, values and perspectives. “As we strive to foster learners who can interpret their place in the global community, we hope students will expand their understanding of ‘community’ and ‘culture’ to include the culture of the deaf community,” she says. Watch out on the Programme Resource Centre to participate in MYP sign language research to review the MYP Sign Languages Guide.